When I was a usability engineer for a telecommunications development firm, there was a big push for ISO 9001 certification, which was intended to indicate that we produced quality products. I wanted to produce quality products, but the truth was I didn’t know how to make quality UIs. In retrospect, I see that many of my designs back then were inferior, making it only half-way towards elegance. Windows were simplified, when they could’ve been eliminated entirely. Layouts were functional but cluttered and wasteful. Disabling was not used consistently. There was no vision. I wanted a process that would help me achieve quality. Unfortunately, the definition of “quality” in ISO 9001 is different from an ordinary person’s definition of quality. “Quality” means “no defects,” which means “performs according to spec.” The trick, as I saw when we developed our quality process for ISO 9001, is that the spec or requirements can be anything you want, and can even be altered retroactively to match actual product performance. So ISO 9001 certification really meant having a process for painstakingly documenting precisely how low our quality was. If your binders are thick enough, and updated enough, you have “quality” no matter how superior or inferior the product you’re shipping. One less cynical thing I acquired from my time in telecommunications is a high respect for the software testers. Part of the respect was because it seemed like such an incredibly monotonous but important job. The other part of the respect was from how they made me a better designer. Prior to true usability testing, functional software testing is actually a good way to find UI issues and requirements we didn’t know we needed. Testers were the closest I could get to usability test participants (the development team explicitly forbid me from doing any actual user research, apparently afraid I might lead users to believe they might be getting a quality product). Testers would notice usability issues from actually using the app, not running scripts for it. From this, I began to learn what makes true quality. Any complicated project needs a system for documenting its goals and progress. There are too many details to remember and too many individuals to coordinate to avoid writing things down and tracking them. However, documentation is not equivalent to quality. Does an expert furniture maker follow a blueprint? Does a top chef follow a recipe? Being schooled in industrial engineering, I’m familiar with the widely accepted definitions of quality as “conformance to requirements” or “absence of defects,” but I’ve always felt these are missing something. Industrial engineering is specifically concerned with the design and analysis of product production. Thus, its definition of quality is limited to the quality of the production -the degree the finished product varies from design. It has limited relevance to software engineering where actual production (i.e., software duplication) has no variability at all, and the line between designing the software and developing it is blurred, or, in the case of agile development, non-existent. Production quality is only part of overall quality. Production is only one step of the product lifecycle. It doesn’t matter how little the final product varies from design if the design is crappy to begin with. Particularly with software and websites, we need to consider the design quality when assessing overall product quality. So what exactly is overall quality? My Aerostich Roadcrafter motorcycle riding suit is an overall high quality product. That’s me wearing it in the obligatory photo of myself on the obligatory About page, The Roadcrafter has excellent functional performance, protecting me from wind and rain. It’s durable, long-lasting, and trustworthy, with a stellar reputation of literally saving your skin in event of an involuntary transition from the sport of motorcycle riding to the sport of asphalt body surfing. It’s easy to maintain, being machine washable and dryable. It’s comfortable -Gortex makes it breathable while waterproof, and the foam in the crash armor is soft to slow velocities characterizing normal joint movements, while rigid to high velocities that would come from impact in a crash. It’s convenient, with many pockets to carry various riding paraphenelia (e.g., gloves, sunglasses, keys), and with a clever “upside-down” zipper design for easy donning. It’s versatile, suitable for fair and foul weather from over 100 F to sub-freezing. It’s tasteful and attractive. It’s made with superior design, top-notch materials, and excellent production standards to achieve its level of performance. These are the things that make any product a high quality product. When you think of the high quality products in your life, you realize they are the things that provide you the greatest net gain. Whether you’re talking about a riding suit for consumers to wear, or a ball bearing in an industrial machine somewhere, a high quality product is one that delivers the greatest benefits for the least compromises for whomever is using it. That is, with the exclusion of one significant attribute of the product: the monetary cost. It’s understood that high quality often means shelling out more lucre. Some consumers even assume that more expensive products necessarily have higher quality. Certain software vendors and consultants have succeeded in increasing demands for their products and services by increasing their prices, contrary to what Microeconomics 101 would teach you. But let’s put the relation of monetary cost and quality aside for now. Including everything else but price in the equation, the higher the cost-benefit, the higher the quality. A high-quality web site, for example, would have excellent layout and information architecture, readable font, elegant pleasing aesthetics, and correct and useful information, all things that benefit the user. Littering your web site with ads reduces the quality of the web site, because ads are a cost in the cost-benefit equation. Web site ads generally are distracting, ugly, and not useful to the user. More to the point, users don’t like them; they’ll actively attempt to avoid them. PBS is touted as “quality television” (I think that used to be their slogan) in part because they don’t interrupt their programs with ads, unlike commercial television. You might recognize that the first three elements are among Peter Morville’s facets of user experience. You may wonder why I didn’t go on and list Morville’s remaining four facets of UX. It’s because they don’t belong. Findable and credible are characteristics specific to static web sites where the user goal is to retrieve information. I suspect that being an information architect gave Morville a limited perspective of the scope of UX and the products it applies to. I’m going to absorb credible into reliable, as I’ll discuss below. Findable is already absorbed; it’s simply the chief form of usability that static web sites need -make it easy to find the information. Accessible is also really a component of usability, just usability for certain select group of users. At least, that’s the way it should be in a quality mass-market product -accessibility shouldn’t just be ticking off a W3C checklist. As for valuable, that facet isn’t a benefit to the user, but rather represents the faith that the other facets will deliver value to the product maker. Which is not always true. Valuable, along with Morville’s concept of credible, show that his facets are really a list of Things UX Professionals are Concerned About, which is not quite the same as things that make a positive user experience. High-quality products are usable. They have high ease of use, making low demands for the users’ time, and physical and mental effort. They don’t hassle the user. They allow the appropriately trained and experienced users to maximize their performance. For example, a high quality sports car provides tight precise steering and easy to modulate brakes with superior feedback, allowing the skilled driving enthusiast to take curves quickly and confidently. Usability implies a good fit with the user. High quality products also fit well with the user, being comfortable, clear, and convenient. High quality products are comfortable, fitting physically by having good ergonomics. Just as a high quality suit fits the wearer well without uncomfortable pinches or bunches of fabric, a high quality mobile electronic device also fits the user, being comfortable to hold and operate. High quality products are also clear, fitting mentally with the owner. For example, a good quality textbook will be clearly and precisely written, provide excellent illustrations, and be well-organized pedagogically, building on knowledge the readers already know. It will have a complete index with terms consistent with the users’ mental concepts, as they are both before and after reading the book. Likewise, a high quality web site will have well-organized content carefully prepared in a language familiar to users. Finally, high-quality products are convenient, fitting the owners’ lifestyle. For example, a high quality refrigerator will have features like ice and water available from the door to make one of the most common household tasks the easiest to complete. Likewise, high quality software includes features to make the most common user tasks the easiest to do. Good quality products are effortless, For example, it’s easier to play well on a high quality guitar, with light strings and low action, than a cheap clunky-feeling knock-off. Likewise, your high quality websites should be effortless, allowing the user to flow through it. In your usability testing, you want more than just a high proportion of your users arriving at the right content. It’s not enough that users eventually complete the check-out pages and buy something. You want them to get there quickly with minimum pauses, typing, and clicks. Clear and consistent design minimizes delays associated with confusion or error. The rest is about designing in speed. A clunky-feeling website has inadequate servers and bloated content that takes longer than a few seconds to download. A high quality web site delivers content at desktop-speeds -half a second or less. Clunky websites or apps have tedious unnecessary steps, forcing the users to jump through hoops to get their content. High quality site or app design minimizes excise, seeking to support a task with the fewest the number of clicks. You can become over-concerned with click-counting. For example, throwing everything on a single web page would certainly minimize navigation, but can result in so much cluttered and confusing content that users spend more time and effort searching for their target information than they would if they had to click a couple times. Long, unorganized, unbroken, unlabeled, un-scannable content can waste just as much time and effort as clicking. Likewise for verbose, vague, and task-irrelevant text that takes a long time to read, whether its copy on a web page, captions for input controls, or messages in an error. Nonetheless, when you’re at the design stage, prior to usability testing with a stopwatch, click-counting remains a pretty good way to estimate time and effort to complete a task, and unnecessary clicks are a clear sign of low quality. For example, when setting up my automatic backup with InSync, the Destination dialog opened each time at the root of the destination drive, forcing me to click through the directory hierarchy to select each destination folder for my documents, bookmarks, and email. Of course the paths for the documents, bookmarks, etc. are very similar, so this involves a lot of repetitive clicking. Some developer got lazy and didn’t bother to preserve the selection from the last use of the Destination dialog. // when counting up to max. // Return negative value for negative max. Other than the original code being an offense to all that is holy, why should anyone care about it? Well it’s slower. It’s harder to maintain. It’s buggy (most egregiously, it returns the wrong value when max is exactly divisible by 10). It’s obviously poor quality code. But practically what difference does it make? How many microseconds will it save by the second version even for large values of max? How much more work is it to maintain –will it ever need maintaining? What’re the odds and impact of any bug (e.g., is max ever exactly divisible by 10)? Is the original code worth re-writing? The developer’s reaction to the original code is the same as my reaction to a interaction design with an unnecessary click. What’s one little extra click? The task takes a couple more seconds to do. It’s one more thing to support the users on (training, documentation, help, and tech support). It’s one more chance for the user to mistakenly click the wrong thing. In other words, it makes the user’s process slower, it’s harder to maintain (your users), and it’s interaction-buggy. The two seconds associated with an unnecessary click dwarfs any processing-time savings you’d get by fixing your basic Code of Abomination (your abominations may vary). For most applications, refactoring some code is less important for the user experience than saving one click, better organizing and labeling the content, or editing and tightening the text. High quality products are maintainable, in which maintenance tasks are usable just like the operational tasks are usable. A high-quality lawnmower is not only easy to start but easy to prepare for the season; for example, the owner can replace the air filter without any tools. Service for your a high-quality car includes the convenience of providing a loaner car to the owner. If you’ve read other stuff on this site, you’re probably not surprised I gave usability top billing on the dimensions of user experience, since that is what I tend to emphasize the most. However, that’s merely a reflection of my expertise. As it happens, I don’t think that usability is the most important dimension for UX, or, by extension, quality. Usability only reduces cost -the effort of using the product -but it doesn’t represent any benefit. Usefulness is all about benefit. Usefulness is the functional benefit a product provides the user, the degree the product fulfills its operational purpose. It’s how well a jacket keeps the owner warm and comfortable and how good of pictures a camera takes. There is a difference between usefulness and usability. The usefulness of web sites is the usefulness of their content, regardless of how easy it is to access it (the usable dimension). The usefulness of an application is the the degree it takes input and processes it into a correct and useful product for the users, regardless of how easy it is to provide the input, set the processing parameters, or read the output. After logging in to MyGarmin and clicking on “Repairs and Exchanges” I was confronted with the message, “You currently do not have any devices that have been exchanged for repair,” which sounds like they never received my returned device, but what they really mean is they don’t currently have my device. At the very least, the message should’ve been “We currently do not have any devices that you have sent in for repair” (emphasis added for illustrative purposes). Design Weakness 1: Confusing copy. Fortunately, there was a place to enter the RMA number they gave me earlier to return the product, but that meant some shuffling through my digital papers to find the RMA number. Design Weakness 2: Forcing the user to use memory instead of recognition. It’s not like Garmin doesn’t know my RMA numbers, and it’s not like there is a security concern with listing them with a date and letting me choose -I’m logged into my Garmin account, having given them my user name and password. After submitting the RMA number, I was prompted to re-enter my login credentials. Design Weakness 3: Forcing the user the repeatedly enter the same data. Either that, or the flaw was timing out my session after only the few minutes it took me to retrieve the RMA number, time they should have allowed since they’re the ones that required the number. Then I was again prompted for the RMA number. Design Weakness 4: See Design Weakness 3. Then I got an error message, saying the RMA number should be digits only and no letters, even though I entered exactly the alphanumeric RMA number that Garmin itself had supplied me. Design Weakness 5: Intolerant entry formats. Design Weakness 6: Inconsistent formats used throughout the system. I stripped the letters from the RMA number and re-entered it, and finally got a page saying the device had been repaired and shipped Thursday. Now, a high quality site would have simply provided that information when I clicked “Repairs and Exchanges” back in the beginning -they could’ve listed the status of the most recent repair orders, which I’d bet would fulfill the goals of the vast majority of the users. Design Weakness 7: Requiring unnecessary steps. All the design weaknesses above are usability weaknesses, and in aggregate they indicate a low quality web site. However, there was also a usefulness design weakness in that they didn’t actually provide me with the information I really needed. Certainly it is somewhat useful to know that they received and repaired the device and shipped it back to me, but what I really needed to know at that point is when will I get it back. They had neglected to say how it was shipped or to provide me with a tracking number. If they shipped it by first class mail, I could see it in a couple days. Shipping by UPS ground could mean a week. Shipping by continental drift…. Even if they had fixed all the usability problems in Design Weakness 1 though 7, I still would have had at best a mediocre user experience because of low usefulness. It doesn’t matter how easy you make it to get the content on your web site if it isn’t the right content. Failure to correctly determine the content your users need will result in low quality. We can also see the importance of usefulness in the success of other websites despite usability problems. Craig’s list, eBay, Flickr, Wikipedia, and YouTube all have or have had usability and other design problems. Yet each dominates their respective domains by being more useful than their competition. This wasn’t so much due to deliberate design as an artifact of having the most users. With user-supplied content, the network effect increases a site’s usefulness. If you’re looking to buy or sell something, it’s most useful to go to the site with the most sellers and buyers. If you want photos or videos, it’s most useful to look where there are the most photos and videos. The success of these sites doesn’t mean that usability or other dimensions of the user experience don’t matter. They merely mean that users will suffer through something of questionable design if the product or service provides something that is sufficiently useful. Related to usefulness and usability is versatility, or the capacity of the product to remain useful in a variety of environmental or user conditions. A Gortex jacket, for example, that keeps the wearer comfortable in wet and dry conditions is more versatile, and therefore better quality. A chair with adjustments to best support a range of sitter physiques is more versatile, and therefore better quality (provided the adjustments are usable so more than just high-end sitters take advantage of them). High-quality web sites and applications maintain their usefulness for a range of users and environments too. High quality mobile apps choose graphic codes that are still distinguishable on devices used in bright sunlight, for example. High-quality photo manipulation software has features useful to both amateur and professional photographers. Desirability also represents the benefits a product provides, but while usefulness comprise the extrinsic benefits, desirability comprise the intrinsic benefits. To be useful, a product has to be useful for something else. That is, it’s function is to be used to achieve some goal or state in the world outside of the product. An air conditioner functions to chill and dehumidify the ambient air. An mp3 player functions to play music. Presumably achieving these states is emotionally fulfilling to the users, which is why they use the product. In contrast, to be desirable, as defined here, the mere use or ownership of the product is directly emotionally fulfilling, regardless of any state of the external world. This includes the degree the product looks, sounds, and feels attractive, the degree it is fun to use, and the degree it reflects well symbolically and socially on the user (i.e., the degree it is a status symbol -the kind of things that Mike Johnson hates). Generally usefulness is the degree the product fulfills its primary purpose, that it fulfills the function it was engineered to accomplished, while desirability is the degree the product fulfills its secondary collateral functions. However, usefulness is not necessarily the primary design challenge in all products. For consumer commodity products, the usefulness is a given, and desirability is the only way to increase benefits. For games and other forms of entertainment, the primary purpose is to directly elicit an emotional response from the user, and usefulness and desirability merge. Desirability is handled primarily by the styling of the product, that is, by its appearance: how it looks, sounds, and feels; the degree it is attractive or tasteful. This extends to more than just appearance of the product itself to anything associated with the product: it’s packaging, advertising, point of sale, even the people seen using it. Well-formed. High quality products follow the classic rules of attractiveness, without being cliche. Colors are chosen that look well together. Shapes are simple and elegant. Balance is appropriately applied. Alignment follows a neat grid. Height-to-width ratios are reasonable. Form is not distorted to shock, disorient, or depress the user. A quality product implies a positive user experience, which implies the aesthetics should primarily elicit positive emotions. We often associate quality with a quiet elegant visual style. A calming response is a positive emotion, so this approach is a proven winner. However, it is not strictly necessary to be quiet to be high quality. High quality can be bold. Excitement and passion are positive emotions too. The trick is to be bold without being gaudy. Integrated. Aesthetic elements should be built into the product, not tacked on as an afterthought. They should be aesthetically consistent with each other. A poor quality web site, for example, will be peppered with clip art of various styles. A high quality site will show aesthetic integrity. A poor quality app will slap on badges, puzzles, cute graphics, and other gimmicks to try to be fun. A high quality app will richly represent the domain, being fun by emphasizing what is fun about the domain. A quality product should not be an aesthetic experiment, a creation the designer glued up from disparate parts and threw to the consumers to see what happens. While that may win design awards, for quality products, all the experimenting should be done before its unleashed on the public. The designer should know exactly what impact to expect. Purposeful. The choices in aesthetic design should be selected with a reason -the aesthetic elements must serve a purpose. The purpose may be to enhance usability or usefulness, but it can also be a purely aesthetic purpose -the choice may be used to communicate something on an emotional level. For example, you can make a control stand out by using bold print or bright red font. From a usability perspective, both can work. However, each has a different aesthetic experience due to different associations the users have with boldness and redness. In a high quality product you deliberately choose the kind of experience to provide. Do you want give your users a newspaper headline experience or a panic button experience? A poor quality app, aesthetic elements are chosen haphazardly with little thought other than it looks nice. Designers blindly follow fashion, or apply a new technology just because it’s new, or because that’s the only thing the designer knows how to do. Honest. The aesthetic design should be consistent with the other dimensions of the user experience. High-quality mountain climbing carabiners are usable, useful, and reliable and should also appear usable, useful, and reliable: The gate should be visibly knurled assuring ease of operation with cold or gloved fingers. It should feel light but rigid in the hand consistent with taking life-depending loads while not weighing the user down. It should snap unambiguously shut indicating a high probability of working in remote regions. When products cannot meet a certain dimension of quality in some way, they should appear to not meet it: a delicate china cup should look and feel delicate. Likewise for high quality apps and web sites. If your interface looks simple, then the UI better be simple to operate. If your app is powerful, then it should look it. A reliable product is one with a high probability of working in operational situations. An app that crashes or exhibits bugs is low quality. A web site with some incorrect information or some broken links is low quality (in this way, credibility is rolled into reliability). High quality apps and sites work. The cost of low reliability to the user is greater than the sum of the individual problems it creates. A low probability of working harms the user experience even when everything goes well. A history of low reliability can instill dread in the user, a fear that a failure may occur any time, making a negative emotional experience. Even when the low reliability is predictable, the experience is compromised. Usability is reduced as users have to perform work-arounds to avoid failures, resulting in greater effort, time, or a compromised outcome. They may even avoid using the product at all, reducing usefulness too. How useful is a luxury car, no matter how good the ride, if it never leaves the garage because it might break? But I’m defining reliability, and by extension, quality, to be broader than just an absence of defects. High quality products have, not only a high probability of working when new, but of continuing to work over many operations and a long period of time -the product should be durable. A quality laundry basket should last a long time before wearing out and breaking, for example. The useful performance of a quality database app should not deteriorate as records are added. The content of a quality web site should be regularly reviewed and updated to maintain accuracy. A quality product consistently works now and in the future. I’m also expanding the definition of reliability to include more than reliable usefulness. In this case, by “works,” I mean maintains all of the other three dimensions of the user experience -usable and desirable, as well as useful. In the case of usability, consider Design Weakness 3 in the Garmin example above. I’m not sure why I was prompted to login again, but I’m guessing it doesn’t happen to everyone all the time. It was a case of episodic usability failure; the site exhibited unreliable usability. Desirability likewise can be reliable or not, especially when one considers durability. A low quality wristwatch will acquire a scratched crystal and chipped paint with use and age, detracting from the aesthetic pleasure it provides. A high quality watch maintains its attractive appearance, or, at least, acquires an attractive patina. Likewise, a high quality web site will have a style that doesn’t get old, and doesn’t go out of fashion. There is a distinction between true quality and apparent quality, the latter being the quality of a product as perceived by the user. Such perceptions may be based on superficial assessment of the known attributes of the product. For user experience, true quality is more important than apparent quality. Users’ true experience matters more to them than the experience they think they had. That makes more sense than it sounds. Consider an extreme case of a low quality carabiner that’s perceived as high quality. Sure, the rock climber was feeling mighty happy to hang it on his harness as he approaches El Capitan. But when the carabiner fails spectacularly 400 feet up, one can rest assure that the climber’s total experience for the day is profoundly negative, granted the negative part is also relatively brief. This is the issue I have with credibility as the term is applied to web sites. The term means the site is perceived to have reliable information. Credibility is an important benefit to the site owner, but not necessarily to the user. What’s going to maximize a positive user experience is for the site to have reliable information. That’s going to help the users make the best decisions and plans that produce the best total experience for them. It’s about being trustworthy not trusted. If your site has reliable information, then you certainly should make it look like it has reliable information -that’s part of honest desirability. But a site that steers users the wrong way but seems right is worse that a site that acknowledges the unreliability of its information. I’ve already mentioned that consumers tend to assume that higher price products are higher quality because indeed high quality products do tend to cost more to produce, for reasons, I’m still, at length, getting to. Material composition is another attribute that consumers use to judge quality. High quality materials are often necessary to make a high quality product. Gortex makes motorcycle riding suit wind and water resistant while still being breathable, unlike the urethane-coated nylon suits sold before the advent of Gortex. Full-grain leather is unmatched for abrasion protection, plus it’s comfortable and durable, so that is an alternative sign of a high quality motorcycle suit. Likewise, you would not expect a high quality app to emerge from a buggy, limited, and all-around low quality API library. However given that quality actually means user experience, quality materials are only a means to an end. For true high quality, “quality” materials are only relevant if they provide an enhanced user experience. Quality is enhanced any way you can make a motorcycle suit wind, water, and abrasion resistant, breathable, and durable, no matter what materials or manufacturing methods you use. Marketers may attempt to boost apparent quality by referring to Corinthian leather seats, whatever the hell that is, but the function of a seat is to provide a comfortable place to sit. What really matters how it feels. Is it properly shaped? Is it too hot? Too cold? Does it stick to you? Does it look and feel good? How will it last? Apparent quality can also be influenced by perceived engineering trade-offs. From experience, consumers notice that excellence in one dimension of user experience tends to imply a deficit in another. Something that performs highly on an aspect of usefulness may be expected to be difficult to operate, lack versatility, require finicky maintenance, have an unpleasing utilitarian appearance, or be prone to break down. Sometimes this is true, because engineering trade-offs are real. Think race cars. 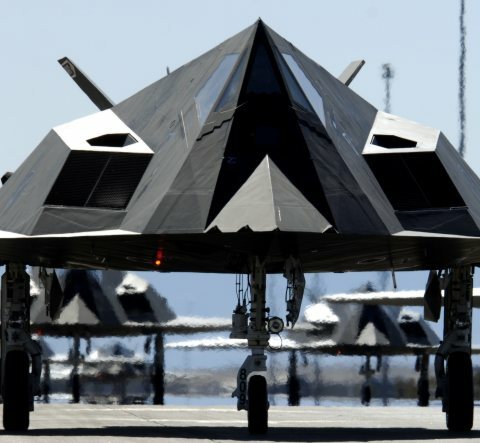 Think F-117 “stealth fighter,” a warplane with proven high usefulness but so ugly, it doesn’t so much fly as gets repelled by the ground in disgust. The F-117 also requires a massive crew of specially trained technicians to maintain it and keep it useful. But for most consumer products, high performance on all dimensions of quality are achievable, yet some people still apply the same rule of thumb. They assume that high usability implies a dumbed-down low capability product of questionable usefulness. Or they believe there is a zero-sum trade-off between an exciting attractive appearance and usability. In the latter half of the 1980s, IBM successfully marketed its crude PC against the revolutionary Apple Macintosh because consumers believed that something as nice-looking and easy-to-use as the Mac couldn’t possibly be a useful machine, when in fact, the Mac was more useful. In actual design, what’s usable and useful for novices is usually also usable or useful for experts, or, at least, they are not antagonistic. Usually beautiful form evolves from excellent function. 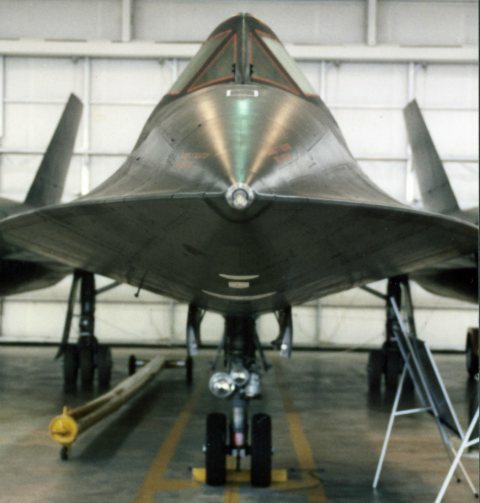 Think SR-71 Blackbird, rather than F-117. Whatever the trade-offs, except for some special-purpose niche products, the best user experience and thus the best quality is achieved by balancing all the dimensions. Ultimately if a product gives up too much on some dimensions for the sake of others, it’s no longer high quality at all. If you seek to produce high-quality products on all the dimensions of the user experience, there is one trade-off that is hard to avoid, and that’s price. It’s not impossible to have something cheap that’s also high quality, and certainly there are many expensive things that are in fact mediocre or even low quality. However, on average, it takes resources and time to make something that is highly usable, useful, desirable, and reliable. That means high development and production costs. Achieving high quality is simple. Average-quality products have just the average attention to performance. To achieve high quality, you have to do more. You attend to details and accept only excellence on all dimensions of the user experience. You don’t release the product until analysis, inspection, and testing confirms it. It means taking the time and effort to study, design, and develop cascade menus which respond well to diagonal mouse motion so it’s slightly easier to pick a menu item with a single smooth slew. It means you fuss with the parameters for response to finger swipes until the scrolling and “bounce” look and feel natural. It means working out how to include side tone in your cell phone so users feel like they’re having a normal conversation, not shouting at a tinny little device. You check and edit and recheck your web site’s content for alignment, visual consistency, smooth transitions, legibility, spelling, grammar, clarity, and correctness. It’s the kind of work that has given Apple its reputation for quality products. An ordinary user experience is relatively easy to achieve -everyone knows how to do it, and because there is a large market for, there are plenty of resources available to get you there, so it doesn’t take too much work. For high quality, you make the extra effort to polish the product, to get it beyond the ordinary. All this extra effort costs more, and the incremental cost increases the further you get from the ordinary, the more you get beyond what’s widely known and easily available. It means spending $10 per production unit to make a $100 product just 1% better than a $90 product, but you do it anyway. Because of the potential for high costs and therefore high price, high quality products don’t make sense for every business. Perhaps it makes more sense for you to pursue high value for your users, which is simply quality divided by price (this is different than the kind of value for the client that Morville is talking about). If you can find a way to deliver ordinary quality at a lower price, you’re also doing your users a service and you should find lots of buyers. Everyone likes a good value, but not everyone is willing to pay the price for high quality -there’s other things they want to spend their money on. Before you commit yourself to high-quality products, look into what you can achieve for the price your users can pay. Usability -the ease of use of the product. Usefulness -the capability of the product to fulfill extrinsic user needs and goals. Desirability -the intrinsic attractiveness of the product. Reliability -the chance the product remains consistently usable, useful, and desirable now and in the future. You are currently browsing the archives for the Challenges category. What Have You Done for Your Power Users Lately? End of the Line for the Menubar and Toolbar?